It’s been 140 weeks since Sudden Unexplained Death in Childhood took my son and we’re in the last week of Pregnancy and Infant Loss Awareness month. The more I’ve sat with those two thoughts and tried to participate in activities geared toward the latter, the more I feel that they aren’t really related; the C in SUDC stands for child, in this case, a person over 12 months of age- by nature, not an infant. It’s not that the month, projects and campaigns aren’t beautiful, helpful and important, it’s just that they’re not to do with my type of loss- and there isn’t anything that is. SUDC’s space reminds me of the Island of Misfit Toys; we are grouped by diagnosis of exclusion. There is no space in general or social media, in law or on the calendar where SUDC families belong. SUDC has zero national awareness campaigns, special days or months, and there is no federal funding to recognize, provide resources for or research to prevent our type of loss. Having no community or peer support is huge. The fact that in no one’s heard of SUDC- including the person sitting in the hospital, learning the hard way and the doctor delivering that information- means that no one knows what to say or do to help SUDC families. We’re left to figure it out on our own. 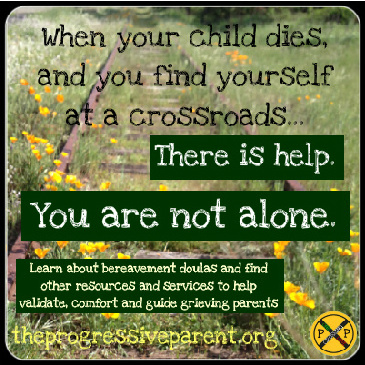 To their credit, there are specific email groups for bereaved families put together by the SUDC Program, but if you’re like me and have hundreds (thousands!) of emails in your inbox, it’s not the best form of communication in which to participate in group discussion and community; it seems to be an obsolete form of group interaction these days. My intent is not to discredit or dismiss all of the time, effort and empathetic or organizational response of the SUDC Program in any way. They are a small organization, lacking in federal funding or recognition and they are working with the resources available to them- which I hope to help increase. Patrick died for no discernible reason. That means not only that I don’t know what took my son or why, but that I can’t protect my other children (or yours) from whatever it is, either. I understand that even if he died from something a textbook or doctor could explain, it would only lessen a fraction of a percent of the pain, the ache, the exasperation, the unfairness, the Siberian tundra in my heart that used to be Eden. Still, SUDC parents deserve that answer, or the knowledge that it’s important enough to search for. Another lack I see in the grief community is the daddies. With SUDC, fathers/partners are an imperative part of the conversation because by nature, our diagnosis means that the parents (and other family members, caregivers and friends) have had over a year with the child. They are missing hearing their name said by a tiny voice, missing a laugh, a game, a reaction- we are under a different (not bigger, not more important) umbrella than the Pregnancy and Infant Loss community. I do not want to diminish the validity of grieving the loss of a pregnancy or infant: I’m plodding through literature for my bereavement doula training to help people through exactly that because I feel it’s so important– I just want SUDC parents to feel important, too. There’s room at the table for all of us. If we’re to be denied a reason why we’re in this heartbreaking situation, at least let there be research, let there be community, let there be people that know how to help us through it- and not just out of a tiny office run by a handful of people giving their all with limited time, resources and funds. We deserve awareness; we deserve space in the consciousness of America on the calendar, in social media and in the federal budget. Use the tag #SUDCmatters. Using a hashtag helps because it creates and index of posts containing information, support and a place that honors the memory of the children of SUDC parents. Donate to the SUDC Program. Theirs is the only fund in existence providing any research or resources for SUDC parents. Sign the White House petition to Make February National SUDC Awareness Month. *There are two petitions, the one I just linked is an official petition and needs 100,000 signatures by November 27th, 2015 to make it to the President. Sign the Change.org petition to Make February National SUDC Awareness Month. This petition has no time limit and will remain in place if the first one doesn’t go through as a way to keep supporters informed. If you are an SUDC Parent and on Facebook, you can join a group here. Please share. The time limit on the White House petition means I need 30 seconds of your time now. I’m not normally pushy, but for this purpose, time is of the essence, as is reach. The only way this necessary change can come about is if you sign and share. I leave this in your hands, grasshopper. Please be the change with me. There’s got to be a reason why my son died. There’s got to be people out there to help me while I struggle with the lack of answers alongside my grief, and others trying to find those answers for me. 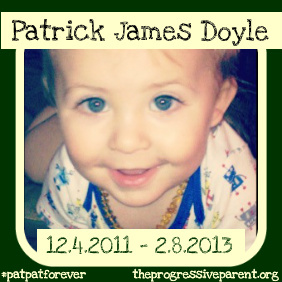 The lack of awareness adds insult to injury; in honor of Patrick and all of the other children and families fated with SUDC, it stops here- awareness starts with you. I will have a mass email going out tonight about the White House Petition. Good luck!